Ms. Pinkerton had been in the role of interim President and CEO for BC Transit since April 25, 2018. 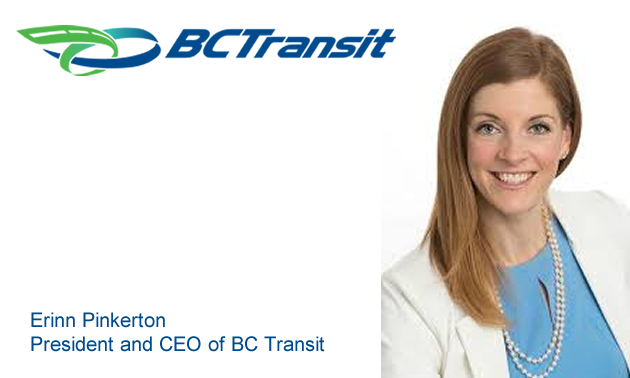 BC Transit’s Chair of the Board announced that Erinn Pinkerton has been appointed as the organization’s President and CEO. Ms. Pinkerton had been in the role of interim President and CEO for BC Transit since April 25, 2018. Based on her outstanding performance in that role the Board has unanimously decided to appoint her as CEO. In her tenure as interim President and CEO, Ms. Pinkerton used her strong customer focus and innovative style to lead the introduction of many new service offerings across the province. This includes the launch of NextRide, BC Transit’s new vehicle location service that allows customers to track their bus in real time. 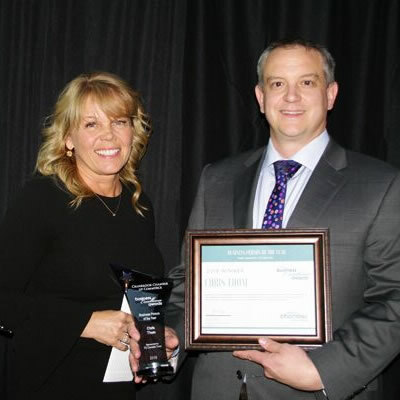 She also led the operational planning on behalf of the Province of BC to launch BC Bus North, the first long-haul transit service supported by BC Transit. Ms. Pinkerton supported the start of construction for the new maintenance and operations facilities in both Campbell River and the Cowichan Valley, which will provide opportunities for future expansions in these communities. BC Transit’s first in-service trial of an electric bus in Victoria was led by Ms. Pinkerton as a significant step moving towards a zero emission fleet. BC Transit operates bus systems throughout the West and East Kootenay — including in Trail, Castlegar, Nelson and Cranbrook.